A cooperative agreement between Southwest Medical Center and Meade District Hospital will soon allow Meade residents to receive specialty care closer to home. In an agreement signed during December 2017, Southwest Medical Center will be leasing space inside Meade District Hospital for the purpose of providing outreach appointments with urology physician, Fadi Darwiche, M.D. Dr. Darwiche of the Urology Care Center in Liberal has worked at Southwest Medical Center since August 2016. In his practice, Darwiche treats many urological conditions, including cancer, stones, urinary infections, erectile dysfunction, fertility disorders in men, incontinence in men and women, and neurologic bladder issues. Dr. Darwiche grew up in Lebanon, where he graduated from Saint-Joseph University in Beirut, Lebanon in 2000. Dr. Darwiche went on to complete a fellowship in urologic oncology and reconstructive urology at the Bichat University Hospital in Paris before practicing urology in Lebanon, Qatar, and Saudi Arabia. 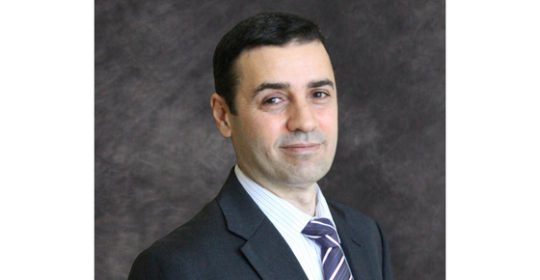 After more than a dozen years of practice in the Middle East, Dr. Darwiche progressed in his career with training in the latest urological practices during clinical fellowships in urologic oncology at the Miami University and Jackson Memorial hospitals. He completed his most recent fellowship training in urologic oncology and robotic surgery at the Roswell Park Cancer Institute in Buffalo, New York. Dr. Darwiche is expected to begin outreach services in Meade during February. Dr. Darwiche accepts new patients and most major insurances, including Blue Cross/Blue Shield, Medicare, and Kansas and Oklahoma Medicaid. For questions about services performed by Dr. Darwiche or to make an appointment, please call (620) 624-0723 or visit www.swmccare.com. Welcome! Always glad to see more services in Meade.